Anaheim2 was the best show of the tour so far. U2 completely changed the set list beginning the show with 5 straight songs from Achtung Baby, including The Fly. My favorite I Still Havent Found What Im Looking For made its return tonight, and I cried like a baby. They kept Pride in the set list and took out Magnificent. I stayed in my hotel room until I left for the stadium at 2:30. I didn’t get lost this time, so I arrived very quickly. 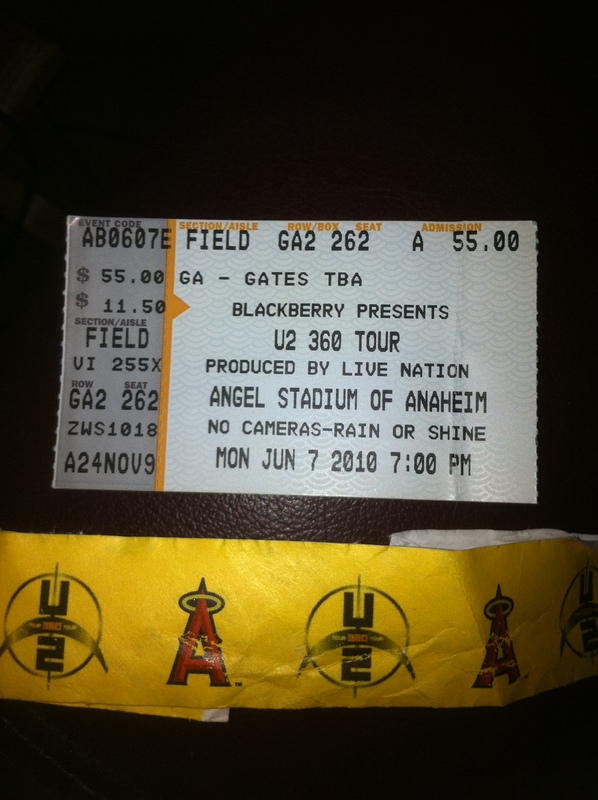 I got my GA wristband and went around for U2 to arrive. They again arrived in 2 helicopters and again did not stop. I went inside after the GA line had already went in. It was a more relaxed feel tonight. The inner circle wasn’t as crowded. I again got a soda and sat in the stands until Lenny Kravitz came on. 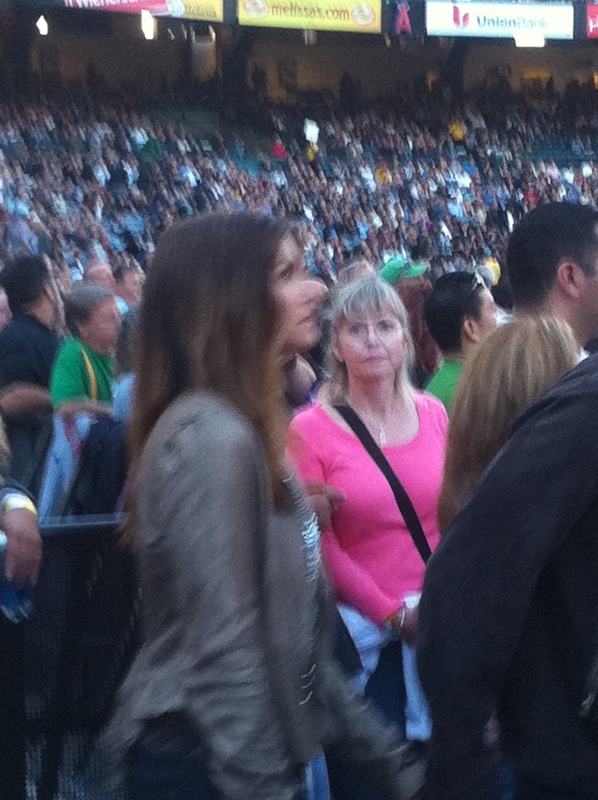 As I walked around, I saw Cindy Crawford. She is stunning and very nice – posing for pictures. I went behind the stage and stood at the tunnel where U2 walks into the stadium. 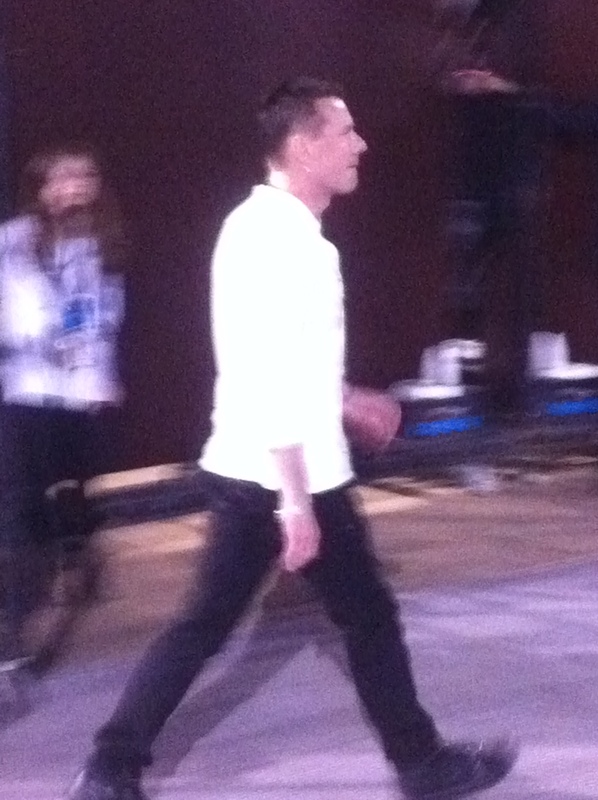 I again watched the show from behind the stage, so I could watch Larry. He smiled at me during I’ll Go Crazy. The black lighted jackets made a returned during Zooropa and City of Blinding Lights. I love Larry in that black leather jacket! There was only one encore tonight. 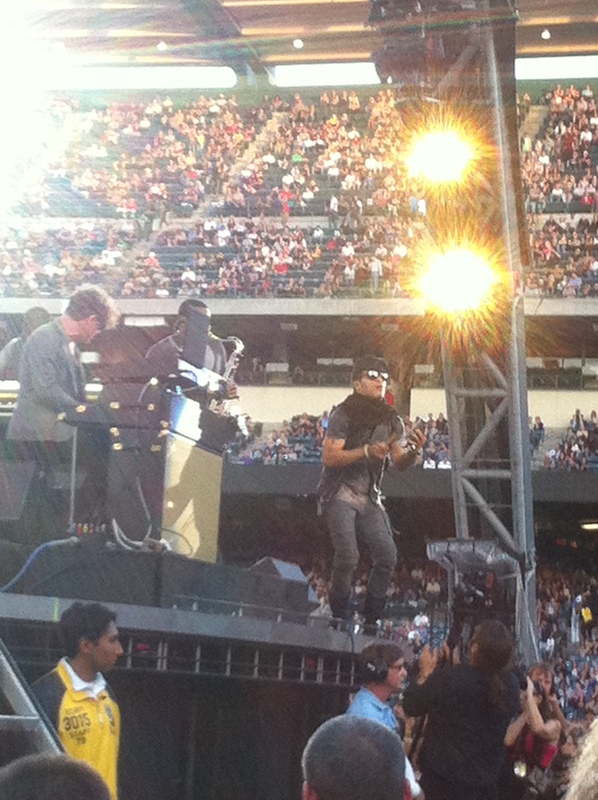 I again went back and watched U2 leave the stadium. Larry saw me and smiled and waved and seemed like he wanted to come over, but didn’t – but he kept looking. I had the best time at this show! I am SO glad I didn’t skip it just to get a head start on my cross country drive to Baltimore. Never listen to reason. Follow your passion. I completely agree. Anaheim 2 was the best show! I saw it from GA in front of the sound booth. I’ll never forget that show. Larry looked at you more than once, and smiled? Lucky you!! I would have melted on the spot!! A smile from Larry is like the sun coming out after a storm…absolutely beautiful! !